other ingredients; and beat well for twenty minutes. Put in whichever of the above flavourings may be preferred, pour the cake into a buttered mould or tin, and bake it in a moderate oven, from 1 to 1 1/2 hour. 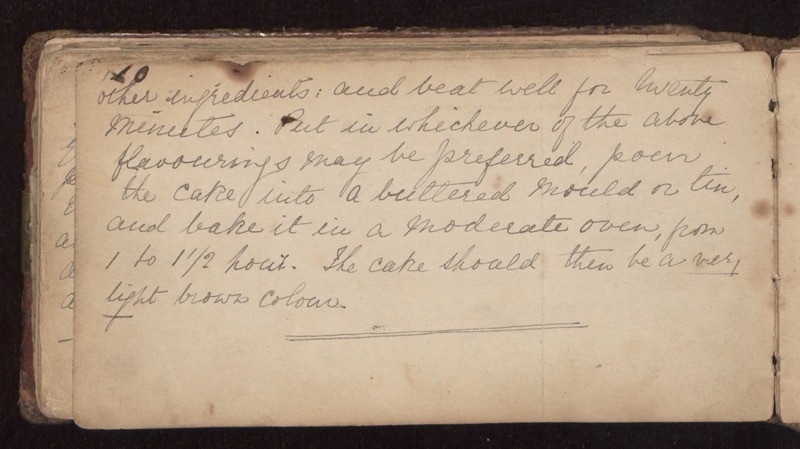 The cake should then be a [underlined]very light [/underlined]brown colour.